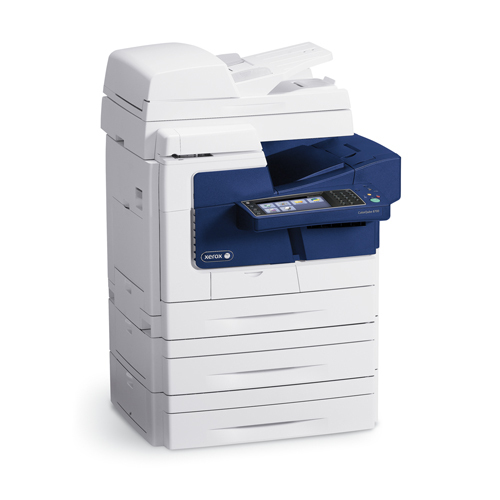 Xerox has just added two new solid ink machines to its A4 color MFP range: the ColorQube 8700 and ColorQube 8900. With 7-inch touch-screens, options for a hanging stapling unit and a USB port for scan and printing, these machines are comparable to the A3 models. The two models differ in the types of service contracts which can be provided: buying of consumlables plus the guarantee for the ColorQube 8700, and a fully comp cost-per-page for the ColorQube 8900. Check out the Xerox animation for the launch here. The DataTechs for these machines are available on your DMO!